The Das Keyboard 4 is one of the latest mechanical keyboards to make its way out of the Das Keyboard factory, and it oozes in style and build quality. This peripheral is a worthy replacement of its predecessor, the Model S, and brings new functionality features to the table that were missing before. The first thing you notice when you de-box this high-end product, is the weight. This is not a light, plastic keyboard, it is encased in a full metal body that offers protection, resilience and gives you the feeling that you won’t be looking for a replacement any time soon. 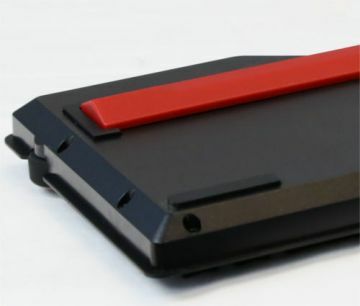 Das Keyboard listened closely to feedback from the Model S and added dedicated media buttons and volume control to the DK4 which are located conveniently above the number pad. Depending on the size of your desk space and mouse use, you may find yourself accidentally changing the volume as your thumb brushes past this sensitive volume wheel, but you soon get used to it. Since the Model S, technology has moved along, and so Das Keyboard have done away with the need to have 2 USB 2.0 plugs on the DK4, instead they have one ultra-fast USB 3.0 plug. This gives the keyboard full N-key rollover functionality meaning no key presses will be missed, giving you the accuracy to make your shot, avoid a gank or even type your course work with the knowledge that the keyboard will transmit exactly what you tell it to, when you tell it to. This also gives the keyboard additional bandwidth so it can accommodate 2 USB 3.0 ports on the on the rear side for easy access. The last thing I want to highlight about this keyboard is something I can honestly say, is the most unique feature I have seen on any keyboard. Where most keyboard would have little legs to raise/lower the angle of the keyboard, the creative minds at Das Keyboard decided that only served one purpose, and they wanted to make a keyboard that is more than just a keyboard. To achieve this, they got rid of the cliche legs, and added a 30 centimeter ruler which magnetically attaches to the bottom of the keyboard, raising it to a comfortable angle. When I first saw this I thought it was a gimmick, but since having the DK4 for a couple of months, I honestly had no idea I had such a need for a ruler in my life and the best thing about it is it can never get lost on a messy desk! 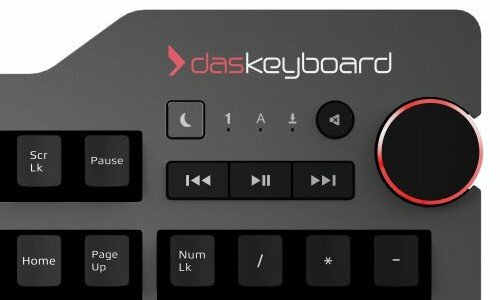 The Das Keyboard DK4 is a solid piece of kit and will last you for many years. Available with blue or brown Cherry switches, it has a model that will suite any typing style. The one thing that is lacking from this amazing piece of kit, is a wrist rest. Coming from having one for the last few years it is something I missed at first, but don’t give a second thought to now, but I can see this feature being missed by some. Because it is a premium keyboard, it does come with a premium price tag of £134.95 from Overclockers but for the serious typist, in my mind, there is nothing better on the market at the moment. It is a true pleasure to use.